1 1/4 pound Fresh Live Maine Lobsters! Fresh Caught 1 1/4 pound Live Maine Lobsters Shipped Fresh Overnight Right To Your Door! These Are The Best Tastin' Lobsters On The Market! 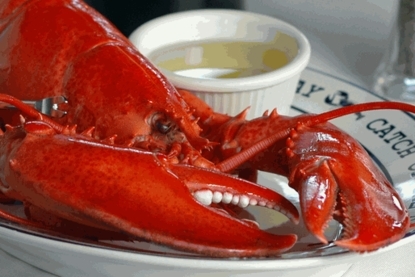 Our Maine Lobsters make for a great Gift Idea, Anniversary Dinner, Birthday Dinner or just a "Surprise! Look what I got Us For Dinner!" (Please enter quantity upon checkout!) All orders come with a personalized card with your message & Cooking Instructions for easy preparation! We are pleased every time we order! Great Company to deal with! these guys know there lobsters! Best birthday present Ever! Thanks Capt. for making mt Day! OMG! They were great! We got your name from a relative who had ordered from you a couple of years ago. We went with the smaller ones and they crawled out of the box and right into the pot!